Because your Rights are our Rights too! Michael H. Lambert was born and raised in Daytona Beach, Florida. Upon graduating from law school, he returned home, beginning his legal career as an Assistant State Attorney in 1974. Afforded the opportunity to prosecute all level offenses at the State Attorney’s Office, Mike then went into private practice in February of 1979. The areas of law that Mike has practiced in are: personal injury, injunctions, but primarily concentrating on all areas of criminal law from bond hearings to trials for Petit Theft, DUI, Grand Theft, Sexual Battery, Murder, and all areas of drug offenses. 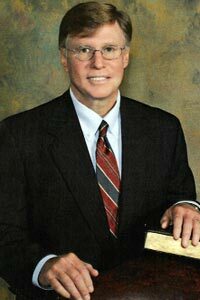 Mike is a member of the American Bar Association, the Florida Bar Association, and the Volusia County Bar Association where he was Treasurer in 1979, and later a member of its Inns of Court. Mike is a member of the National Association of Criminal Defense Lawyers, the Florida Association of Criminal Defense Lawyers where he served on its Board of Directors from 1998 to 2011, and a member of the Volusia County Criminal Defense Lawyers Association where he has served as President, Vice President, and Chapter Representative. Mike served on the Seventh Judicial Circuit Judicial Nominating Commission for over eight years, ending in 2012, where he was its Vice Chair and Chair. For over 14 years, Mike has been rated as a Preeminent Lawyer with an AV rating in Martindale Hubbell. Mike has been married to his wife Kathy for 32 years and they have three adult children who remain within the Volusia County area. His oldest son, Bryan, practices law with him. Outside the practice of law, Mike is a member of St. Paul’s Catholic Church and has participated as a coach in area youth football, basketball, and baseball. Bryan G. Lambert was raised in Volusia County, attending St. Brendan’s grade school and Father Lopez High School. He graduated from the University of South Florida in 2010. 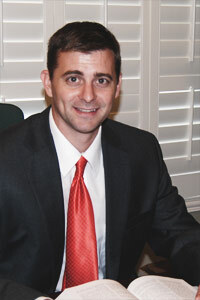 He graduated from Barry Law School in 2012 and was sworn in as a member of the Florida Bar on September 21, 2012. Bryan practices predominantly criminal defense work and with his father Mike under the firm name Lambert Law. Bryan has been married for seven years to Kimberlee and they have one son. He is a member of St. Paul’s Catholic Church. Bryan is also a member of the American Bar Association, the Florida Bar Association, the Volusia County Bar Association, the National Association of Criminal Defense Lawyers, the Florida Association of Criminal Defense Lawyers, and the Volusia County Association of Criminal Defense Lawyers.